Beauregard accommodation features three self-contained cottages, tastefully decorated and set on 5 acres of recently landscaped land. Whether on holiday, for a special occasion or on business, you will enjoy an elegant, comfortable and well-appointed cottage. Only a short drive from Warkworth, Matakana Village and Omaha Beach, we are within easy reach of the great local attractions. The Matakana Coast district is a rural jewel known for its beautiful sandy beaches, scenic walks through the native bush, art galleries, picturesque vineyards, delightful restaurants and the famous farmer’s market. On the doorstep of Auckland, the Matakana region is however a world away from the big city lights. BeauRegard offers you the perfect base for exploring this magical region. There are 3 stand-alone self-contained cottages with parking directly outside. Each 40m2 cottage has a separate bedroom featuring a queen bed. Additionally, there is a double pull-out sofa in the living area. The cottages are tastefully furnished with a fully equipped kitchenette (with gas cooking hobs, fridge, microwave, kettle and toaster), a living area and separate bathroom. All linen (bedding and towels) are provided. There is a communal BBQ area for the 3 cottages with a big table and benches. Whether you visit during summer or winter, the Matakana Coast area offers a wide range of activities from indulging in superb food and wine to admiring art and local crafts or discovering the beautiful nature walks and beaches of the region. The cottages are non-smoking. Sorry, NO pets permitted on the premises. There will be an additional charge per night for a third person in the cottage. Please note that the cottage can only accommodate a maximum of 3 people. Extras: Linen (included); Croquet Game (included); Petanque (included); Little BBQ area (included); Wifi (included); NOTE: Under Kiwi bach tradition you are expected to: Clean the house and do the dishes before you leave. Please note as well, there is a 2 night minimum stay on public holiday weekends. During peak and high seasons, two nights minimum, unless there is availability at short notice. BeauRegard features three self-contained cottages, tastefully decorated and set on 5 acres of recently landscaped land. Whether on holiday, for a special occasion or on business, you will enjoy an elegant, comfortable and well-appointed cottage. Only a short drive from Warkworth, Matakana Village and Omaha Beach, we are within easy reach of the great local attractions. The Matakana Coast district is a rural jewel known for its beautiful sandy beaches, scenic walks through the native bush, art galleries, picturesque vineyards, delightful restaurants and the famous farmer’s market. On the doorstep of Auckland, the Matakana region is however a world away from the big city lights. BeauRegard offers you the perfect base for exploring this magical region. BeauRegard offers you the perfect base for exploring this magical region. Beauregard features three self-contained cottages, tastefully decorated and set on 5 acres of recently landscaped land. Perfect for any occasions! We were up for a wedding so barely there but it was our second time staying and a great spot to get ready then crash at after, recommend to any wanting a great location to many great activities and food around, a simple yet modern spot to have as your base. A lovely little cottage with a relaxing outlook. Great location! 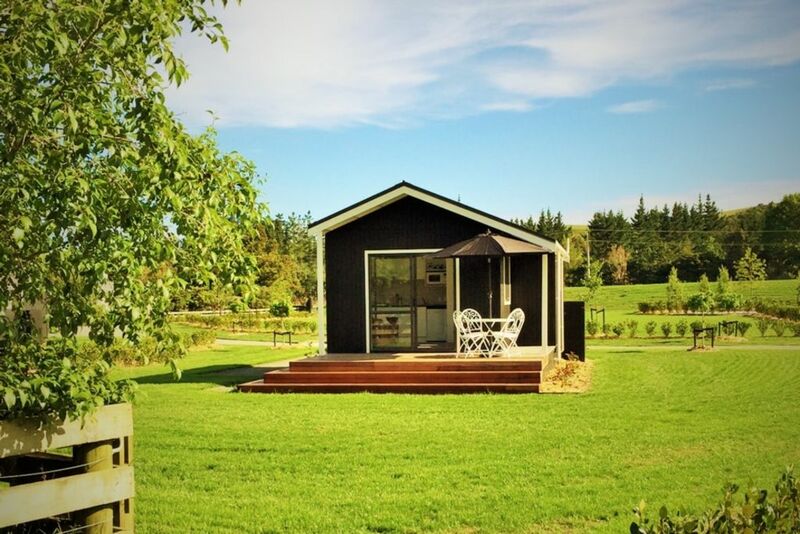 Would definitely recommend these cottages for couples staying in the matakana region for the weekend. Great private and quiet getaway. Great private and quiet getaway. Good magazines for reading on the couch. Clean and well setup for a pleasant weekend away. Matakana is a small village in the Rodney District of New Zealand. Warkworth lies about 9 km to the south-west, Snells Beach the same distance to the south, Omaha is about 7 km to the east, and Leigh about 13 km to the north-east. The surrounding area contains several vineyards. It is also known for its farmers' market, cinema, cafes, restaurants and boutique food-shops. The reasonable proximity to Auckland (around one hour's drive away) has led to the region becoming a trendy getaway spot for foodie people.